Retroblog: Count down with us. Unlock a new deal every day. iOS 11 isn't the only thing launching soon. We're announcing the next phase of innovation on September 30th. Deals start now. 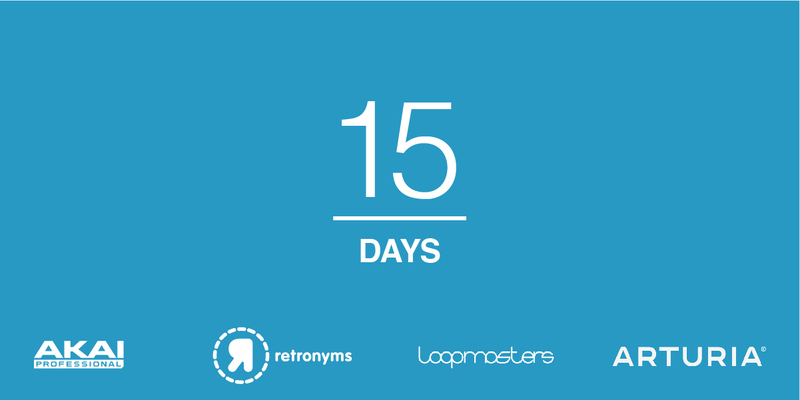 For the next 2 weeks, unlock exciting offers on Retronyms, Loopmasters, Akai, and Arturia products. We're just getting started. All Retronyms sound packs are 50% off in the Content Store. From smooth hip hop sounds to mellow grooves, we've got you covered. Experience a new Tabletop device each day. Today Cueboard is 50% off. Count down until the next deal unlocks.